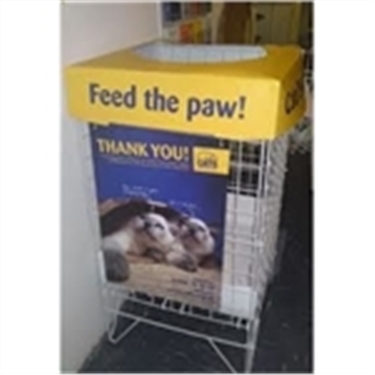 We have food donation bins in a number of locations: Sainsbury's Wigan and Leigh, Morrisons Leigh and Ince, Tesco Hindley, Asda Golborne, Petzone in Wigan, Pemberton Pets, Pawsitively Pets in Hindley and Pets at Home Walkden. If you are visiting these stores please consider buying an extra item to pop in the food bin. Thank you.